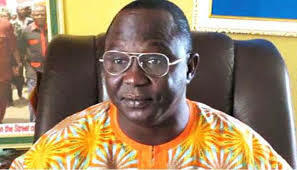 The Nigeria Labour Congress (NLC) has called on the Federal Government to urgently meet the legitimate demands of the striking workers in the health sector. NLC president, Comrade Ayuba Wabba, made the appeal while speaking with newsmen on Friday in Abuja. Wabba said this appeal has become necessary in order to save the health sector from total collapse in the country. According to him, healthcare workers and processionals of all the federal tertiary institutions are currently on nationwide indefinite industrial action. “This is largely due to government’s inability to honour collective bargaining agreement freely entered with the unions. “Every preferential treatment to one cadre would only compound the situation. “Healthcare delivery is a team work and every healthcare worker and professional is important to the optimum performance of the team. “There should be fair treatment to all and equity without discrimination as against what is now being witnessed,’’ he said. The NLC president called for global best practice and standard that should guide the action and inaction of the government in dealing with the precarious situation. He added that there is an urgent need for the government to put all machineries in motion to quickly meet the legitimate demands of the striking unions. Wabba said this was important as the health system has become shadow of what it used to be years back when many countries from Africa trooped to Nigeria in search of healthcare services. “The reverse is now the case as many Nigerians now embark on medical tourism. “This leads to huge capital flight from our economy. The factors responsible for this decline include funding issues and decay in infrastructure and technology,” he said. Wabba, however, called on government at all levels to make it mandatory for all public officers to patronised healthcare facilities for the medical needs of their families. Newsmen report that the Joint Health Sector Union (JOHESU) had commenced strike on April 17, following the Federal Government’s failure to implement agreement signed with the unions. The union’s demands include adjustment of CONES salary as done for CONMESS since 2014, and abolition of scale to scale promotion, payment of outstanding arrears of promotion, skipping and relativity. Others are autonomy of teaching and specialist hospitals, non execution of court judgments, review of retirement age from 60-65 years as done for teachers in the tertiary education sector.